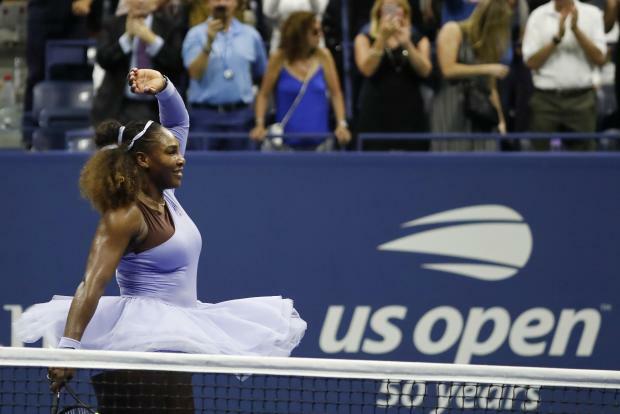 Serena Williams swept past Anastasija Sevastova 6-3 6-0 on Thursday and into the final of the US Open to sit one win away from a record-equalling 24th Grand Slam title. Williams walked off Arthur Ashe Stadium court with a wave and twirl to await the winner of the other semi-final between Japan's Naomi Osaka and American Madison Keys, who lost last year's final to Sloane Stephens. Just seven months and seven tournaments removed from returning to competition following the birth of her first child, Williams was back at her best and needed just 66 minutes to beat the 19th seeded Latvian and reach her 31st Grand Slam final.